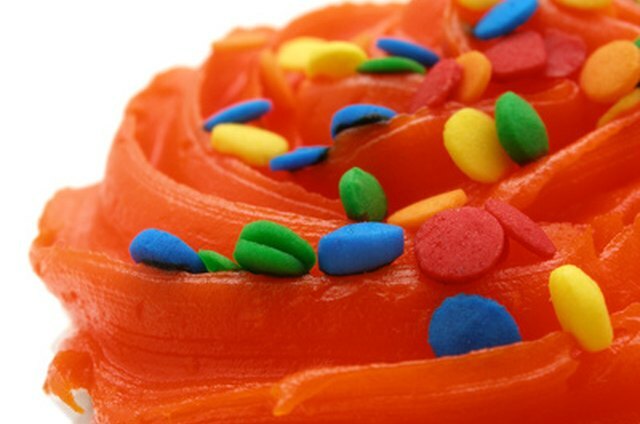 Adding cream cheese to canned frosting is a simple way to add extra density and flavor. Cream cheese is also helpful when you're running out of canned frosting, and need to extend it just a little bit more for that last batch of cupcakes. The ratio of cream cheese to canned frosting is completely dependent on personal taste -- more cream cheese will result in thicker frosting, and less cream cheese will just add a touch of extra density. 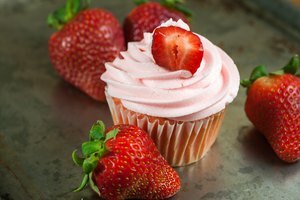 Keep in mind that cream cheese will lighten the color of frosting too, which is important to consider if you're matching frosting colors to your baked goods. Spoon the canned frosting into an electric mixer. Use more canned frosting for a less dense, creamier result, and less canned frosting for a denser, thicker batch. 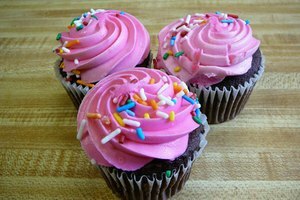 In general, when making a significant amount of frosting (such as for several batches of cupcakes, or a large cake), start with a larger base of canned frosting. Add chilled cream cheese to the mixer. In general, add at least 1/2 package of cream cheese to get the taste and texture of cream cheese to your frosting. Set the electric mixer on a low setting, increasing the speed as the canned frosting and cream cheese begin to blend. Check the frosting for texture and consistency as you mix. Add more cream cheese if it isn't seeming dense enough, or more canned frosting to thin it out. Finish mixing the frosting at a high speed on your electric mixer, to thoroughly blend both the cream cheese and canned frosting into a smooth, consistent mix. Cake Creators: How Do I Doctor Canned Frosting?